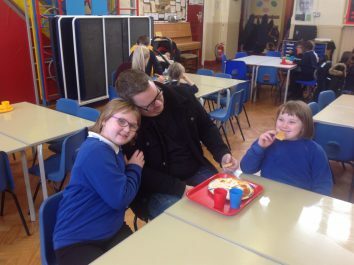 What a lovely part of our Friendship Week. 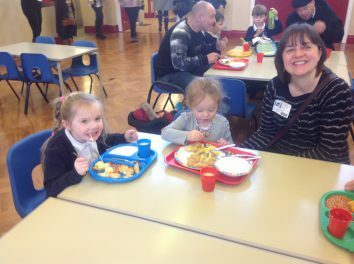 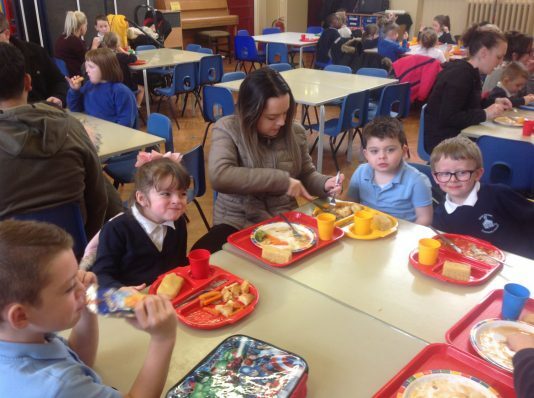 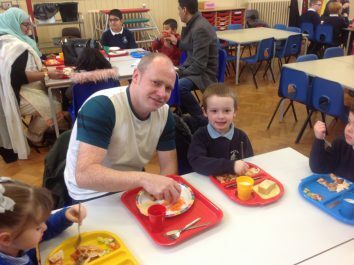 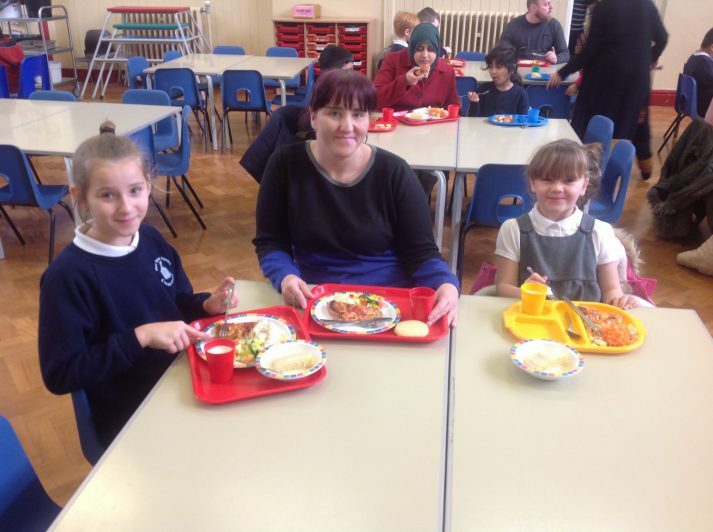 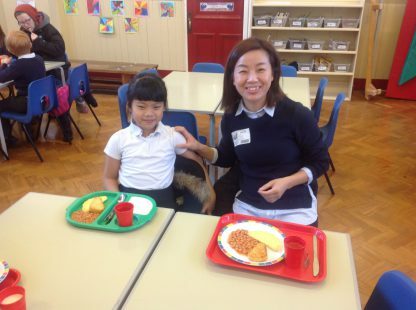 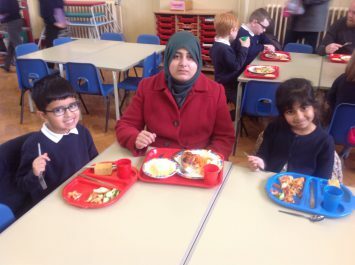 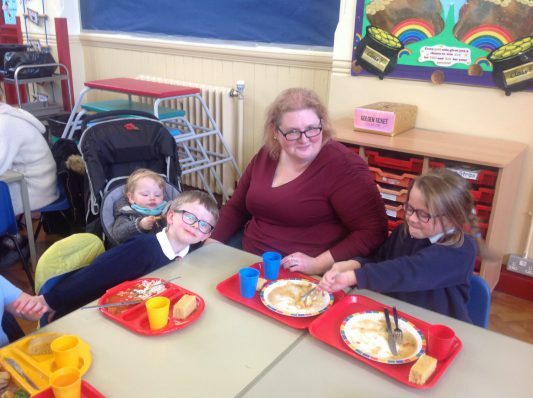 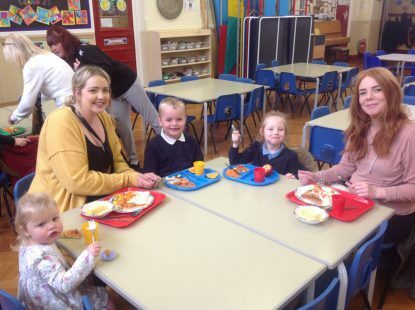 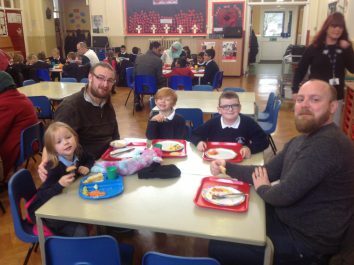 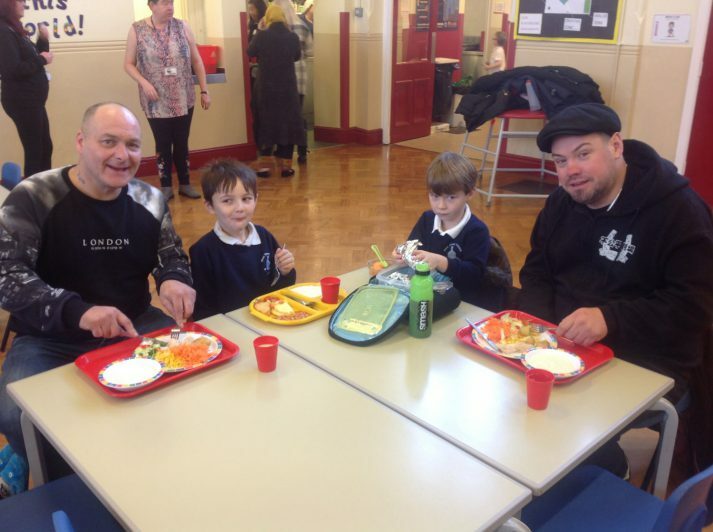 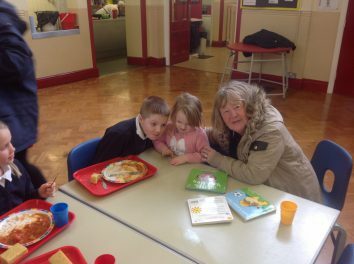 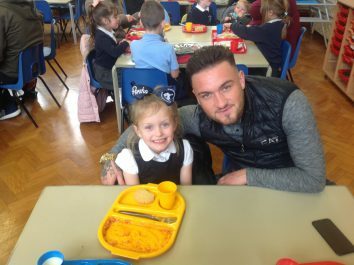 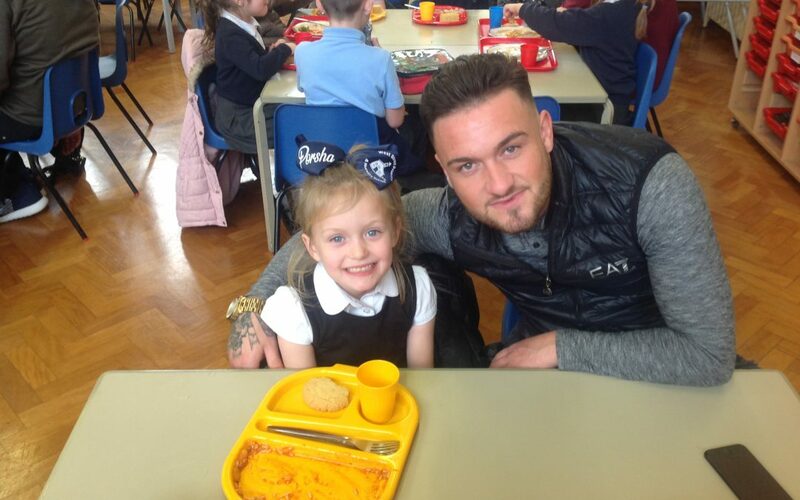 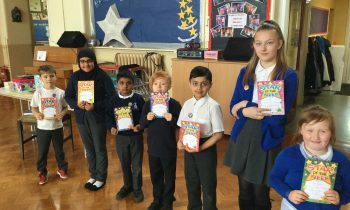 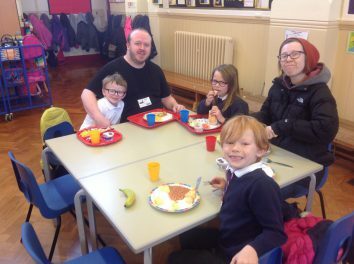 Over four days this week children were allowed to invite a friend to lunch. 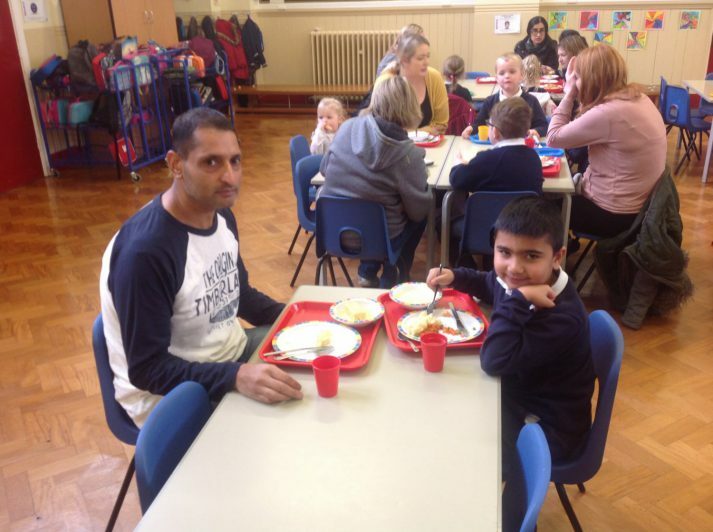 Friends included mums, dads, aunties, uncles, grandmas and grandads. 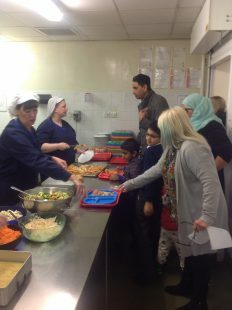 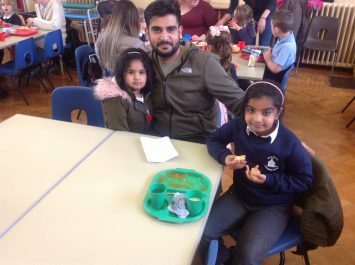 The friends queued up for their lunch with the children and sat in the dining hall to enjoy a relaxed and social lunch. 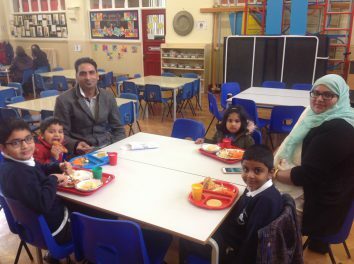 The children then led their friends out to play. 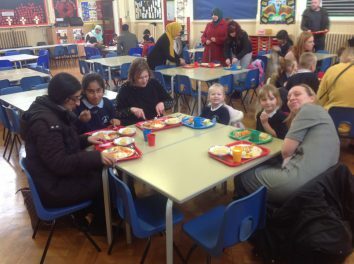 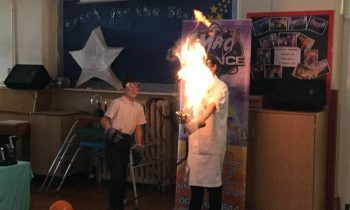 There were many positive comments and I know the children enjoyed it almost as much as the friends!! 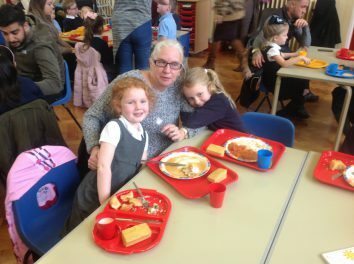 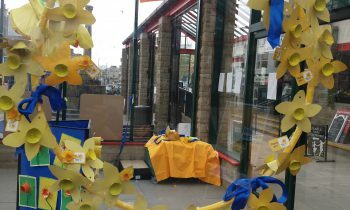 Thank you to all the staff who helped it run so smoothly but particularly Julie and Marie for the extra hard work and planning.